The biggest part of the downstairs remodel is finally done… at least, enough to move on to Marcus’s room. Over the last few weeks, I’ve patched and primed the walls of the main room, painted the ceiling and walls, and torn up the carpet and padding. Yesterday I helped Matthew install the last fidgety bits of the bamboo flooring that we’ve had acclimating downstairs for the last five years. This was my main goal for my sabbatical — getting the sewing/crafting/printing/whatever stuff out of my office and the living room and into the downstairs. 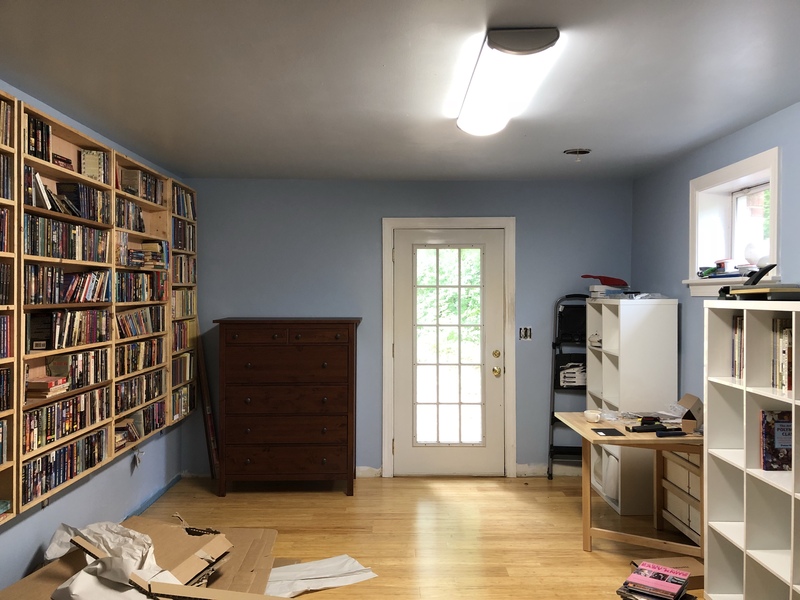 I am no longer the Keeper of the Laminator, and the basement is gradually turning into a combined makerspace and reading area for adults and kids alike. The next phase of my plan is moving Marcus out of his room, giving it the same treatment, and then running baseboards and trim for the entire downstairs area at the same time. At present, we’re at a good holding place for moving “making stuff” into one place in the house. I was in the garage transferring my germinated rambutan seeds into pots when I heard a low buzzing noise occasionally broken by shrill beeps. 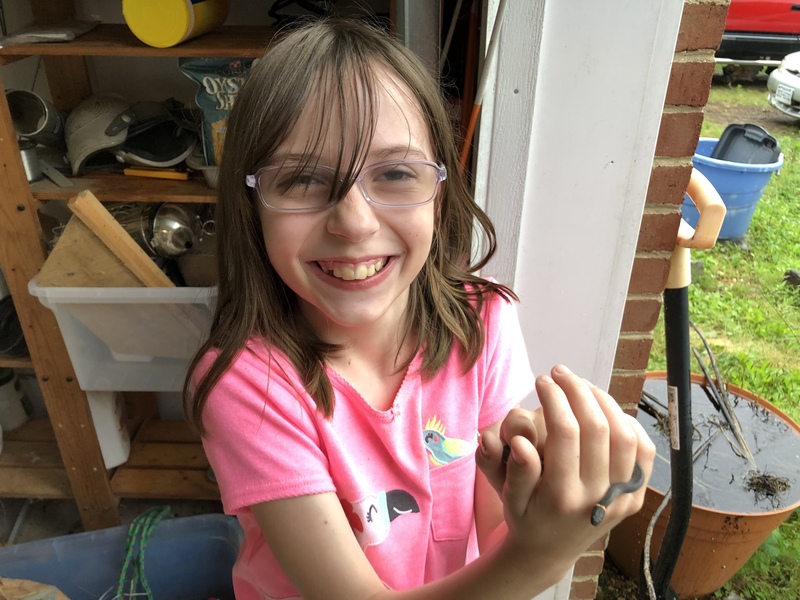 A hummingbird had flown in and since Mother Nature doesn’t really understand the concept of ceilings, it was caught inside because its instincts told it to go up to safety. Marcus helped me catch it with a flowerpot and a dustpan and then I picked off the bits of cobweb that had tangled on its wings and claws. Next up was a quick drink of sugar water, since it had been trapped for a bit. Mlem! We released it outside and it took off for the trees, no worse for the wear. Today was also the little girls’ last day of their week of summer day camp. They agreed that it was awesome but also that they need a break from it. 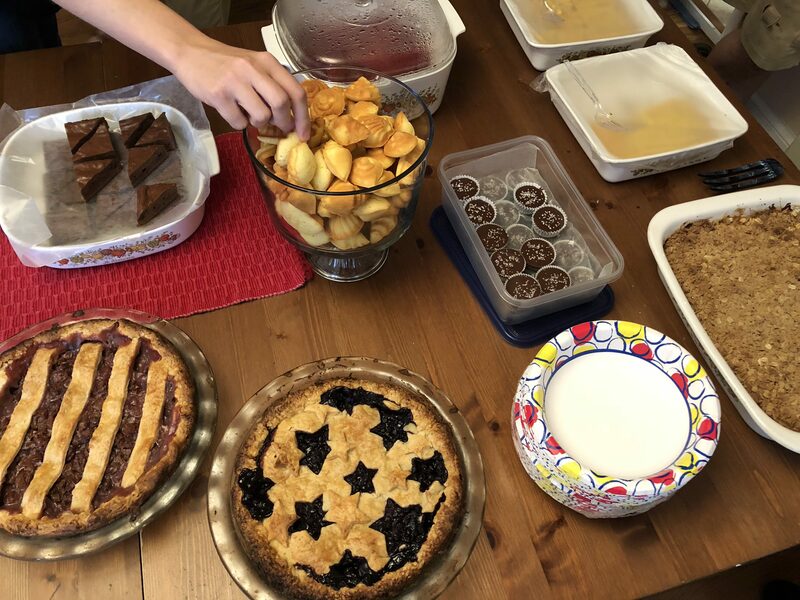 Clockwise from the top left: chocolate cheesecake brownies (a very successful experiment), cream cheese poundcake sea shells with strawberry-raspberry compote, Mom’s chocolate peanut butter cups, gluten-free cornbread (plain and cheddar jalapeño), gluten-free peach crisp, blueberry pie, and cherry pie. 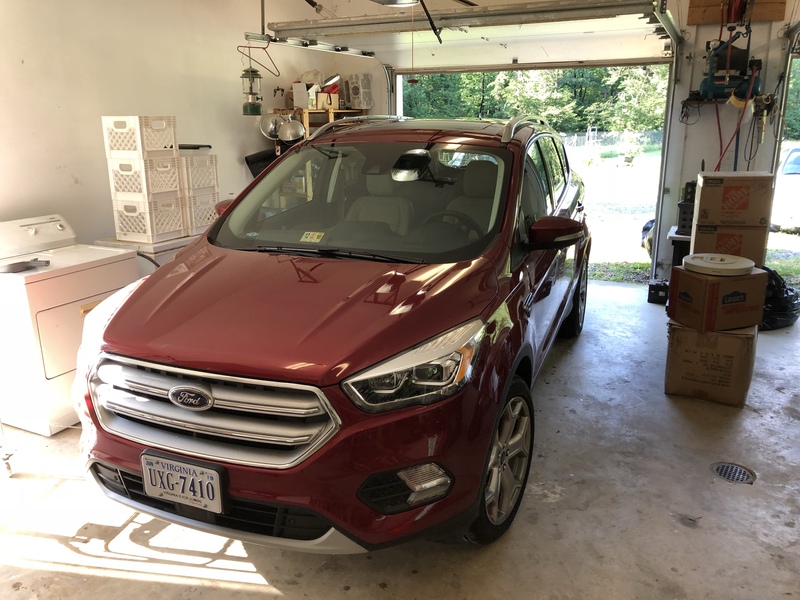 In our twenty years of marriage, we have never, ever had a working car housed in a garage… until today. We worked pretty much all weekend clearing out the rest of the garage. 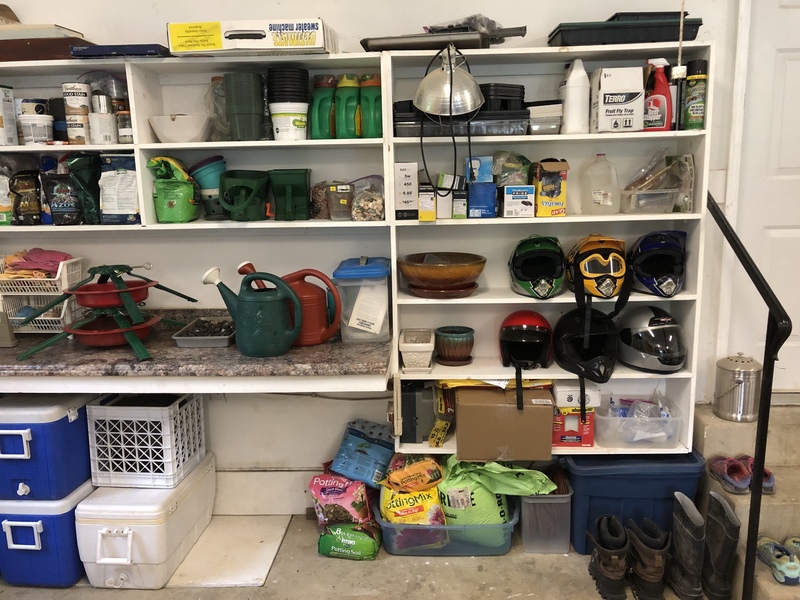 The camping gear is cleaned and stowed, the canning supplies are organized, the Big Gray Wall has been moved into fresh boxes, the non-garden/animal/maintenance stuff has been moved out to the shop, and the entire garage has been swept blown clean. 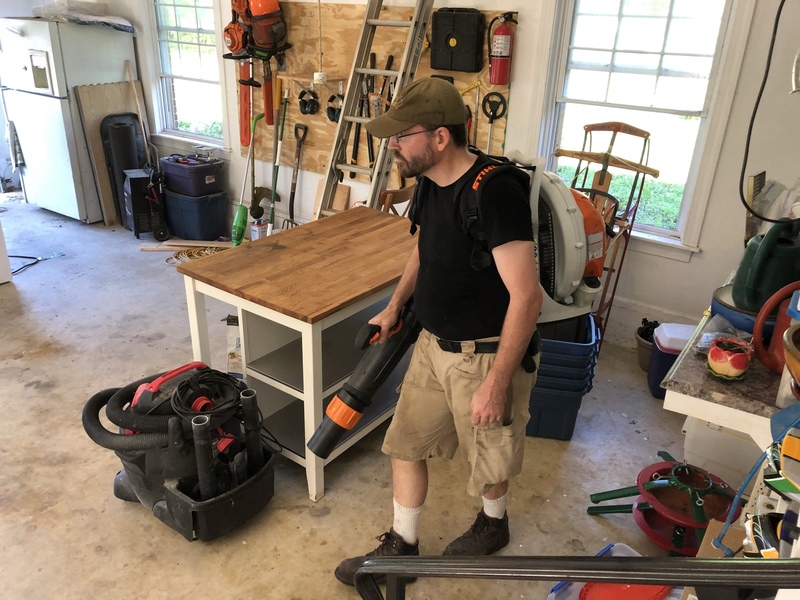 When all you have is a leaf blower…? Gaze not upon the shop vac, for it is way less fun. 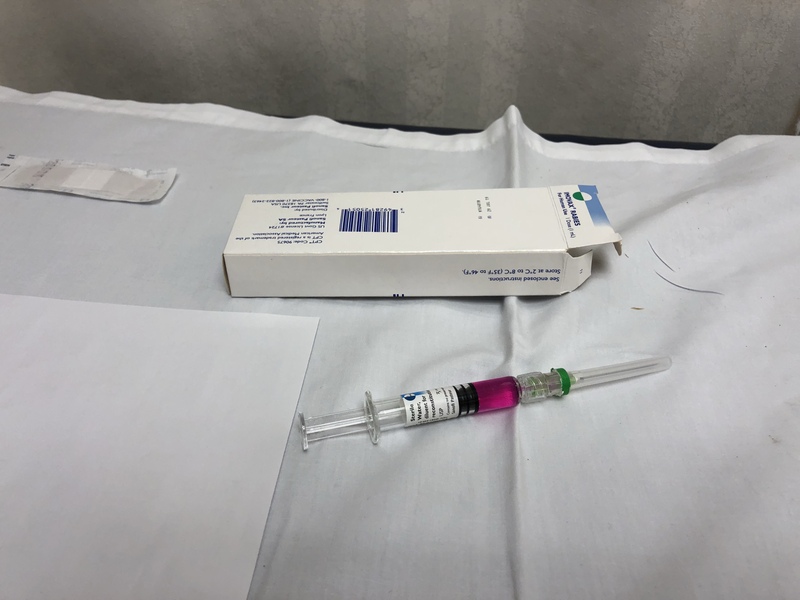 I’ll start with the good news… rabies post-exposure protocol is nearly 100% effective. Isn’t that awesome? tl;dr; I am paying the impulse tax for a chain of events that is making me rethink some decisions I made. Preamble: David Bowie is a chicken. He is also the namesake of this chicken, but in this context he is a chicken. Actually a hen. A Polish hen chicken thingy. This was David Bowie in a happier time. So it was morning, everyone was at school or work or whatever and I was busy actively sabbaticalling when I heard the roosters going off outside. I figured it was time to check the chicken water anyway, shoved my feet into some Crocs, and hiked out to the scene of the crime. The roosters were standing over a pile of feathers that was definitely David Bowie-colored. A trail of more feathers lead off into the woods. New rule for country living: Never track a predator without the appropriate weapon. I should have gotten a .22 pistol or rifle or something before starting off into the woods and yet there I was, following the trail of feathers in pajamas and Crocs. I rounded a stand of trees and stopped short, because not four feet from me was a fox actively working on eating David Bowie, who was very definitely in pretty bad shape but also very definitely still alive at that moment. 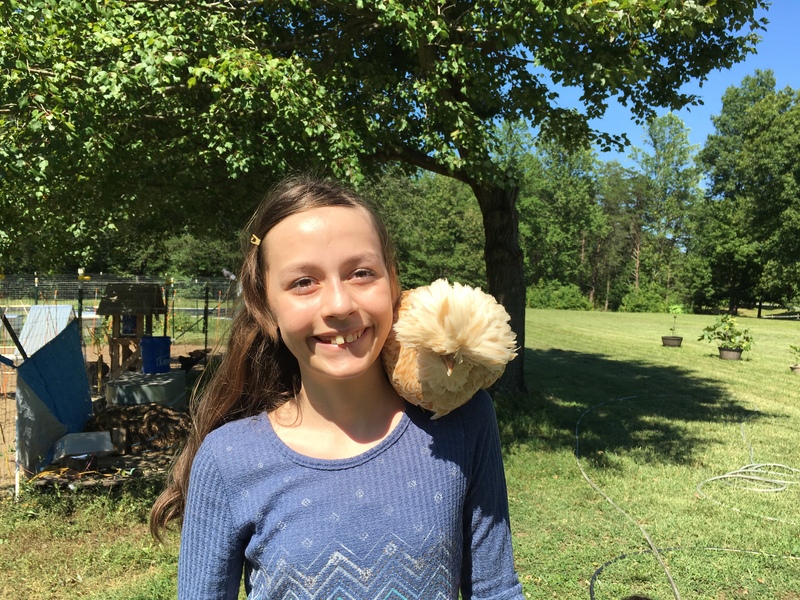 Another new rule for country living: Never name your chickens. You might end up caring about them in a way that defies common sense. In a brief moment of “this is so not my life” I yelled, “Shoo!” at the fox. After visibly weighing the dangers of the approaching human in pajamas with the deliciousness of his impending meal during which I wondered if perhaps yelling at a fox was a super bad decision (I swear I could see the gears grinding, including the one that possibly included telling the human to go away with teeth and claws), he loped off into the woods and I immediately scooped up David Bowie because I mean, Garage Chicken survived some pretty serious hawk-inflicted injuries and the little girls love David Bowie and I wasn’t really thinking things through except that maybe he would be salvageable. Next new rule, since clearly I needed yet another one: Glove up. Once I got inside, I started washing my hands to remove all the chicken blood (and yeah, not to get too detailed but there was a fair bit) and realized I had hangnails and scrapes and open cuts on my hands. The fox had been eating the chicken and the stuff on my hands wasn’t just chicken blood, but also some probably very small and insignificant part of fox saliva. Mostly insignificant. Probably. Except for the part where rabies is 100% fatal. …Yeah, gonna go with “suboptimal” on that realization. Setting aside this line of thinking in favor of the most pressing disaster-in-progress, I went back outside to where David Bowie had quietly passed away and started figuring out how to organize what was left of my day. 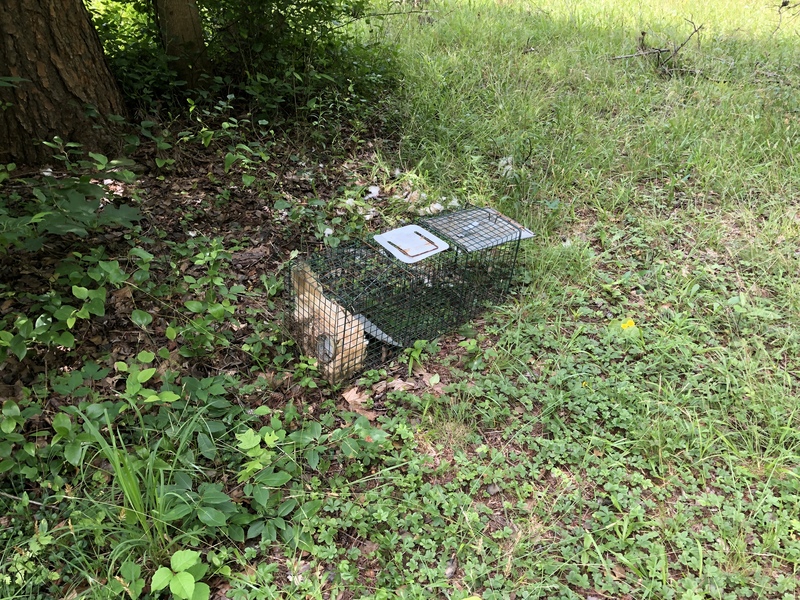 I grabbed a trap and baited it with David’s body in the hopes that the fox would come back because at that moment, I wasn’t really thrilled with foxes, or wildlife, or things being alive that were killing our chickens. 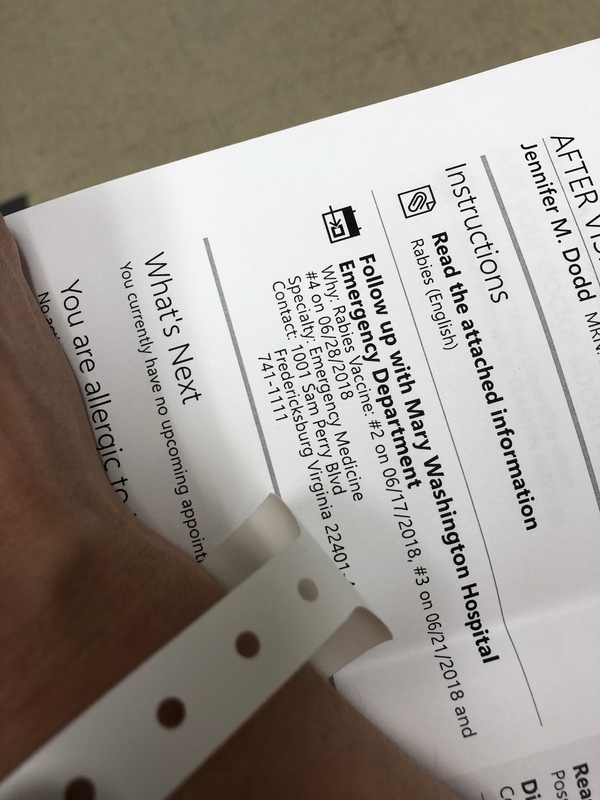 Then I went inside for a brief Slack discussion with some good friends and a Teladoc conference during which I was told that no matter how remote the changes of transmission, yep, totally time to head to the ER. It’s not the odds, it’s the stakes. Yay. Five shots today, then three more after that on Days 3, 7, and 14. Eight shots total, which is way better than it was a few decades ago so yay, modern medicine. I may need a vacation from my sabbatical, is all I’m saying. Abby made a new friend. I finished cleaning up the garden area of the garage. I’m pretty sure she had more fun. I am still picking spiderwebs out of my hair.